Update November 2016: The dialog service has been deprecated and replaced with the Conversation service. In an earlier article I wrote about how to use the Watson Personality Insights service in Minecraft. 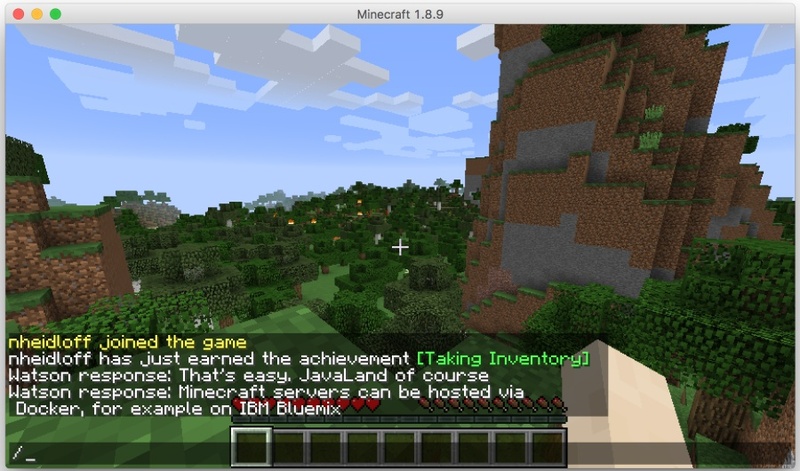 The sample was based on the work from my colleagues Kyle Brown, Joseph Kozhaya and Srinivas Cheemalapati who had documented how to run Minecraft servers as Docker containers on Bluemix. Recently they updated their documentation and added how to use the Watson Dialog service. 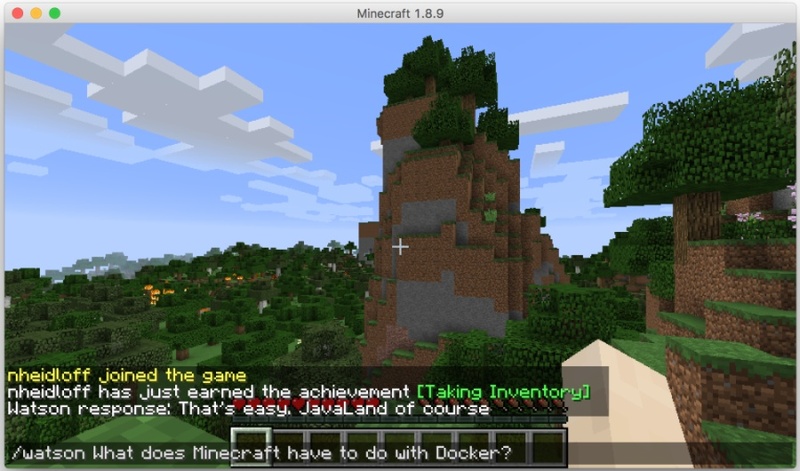 Minecraft players can now ask questions like “What does Minecraft have to do with Docker?”. Watson returns with the answer “Minecraft servers can be hosted via Docker, for example on IBM Bluemix”. Here is the deck for the session. It includes many screenshots, but in the session I’ll demo all of this live.